Companies whose businesses rely on patented software or patented business methods are increasingly at risk of chaotic court decisions and a real chance their patents will be declared invalid. The resulting unpredictability is hindering new innovation, threatening well-established patents and discouraging capital investment. Without confidence that intellectual property rights are secure, investors are reluctant to fund companies, undermining the innovation for which the technology industry is known. Here are several ways to protect your company. 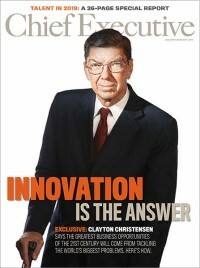 The problem is rooted in the dramatic growth of technology and the complexity of applying patent law principles to innovation implemented via computer code. Our modern life runs on software, from $2 wristwatches bought from street vendors to jumbo jetliners, telecommunications, factories, the stock market, Amazon.com, as well as such everyday goods as ebooks, video games and smartphones that did not exist a few years ago. But the legal system is struggling to keep up with these technical advances. The CAFC also twice has disregarded rulings by the Supreme Court to apply the standard for patent eligibility more rigorously. One case, WildTangent v. Ultramercial, involved online access to copyrighted material in exchange for viewing an advertisement. The other, Mayo v. Prometheus Laboratories, concerned dosing methodology, which the Supreme Court declared ineligible to be patented because it is based on natural biological processes and the Federal Circuit ruled met criteria for patent protection. The uncertainty created by the CAFC’s conflicting rulings threw business, investment and financing into confusion. Similarly, a CAFC decision in my company’s case, Soverain Software v. Newegg, threatens long-established patents, even those that have been reaffirmed by the Patent Office and upheld by Federal Court proceedings. The CAFC unconstitutionally invalidated our patents for Internet commerce technology, a decision we are asking the Supreme Court to review and to reverse. If the CAFC decision is upheld, your company’s patents could similarly be tossed out. What should CEOs do? First, they should reassess their patent portfolios based on court decisions to determine which patents are still “safe” and which are now in a gray area. Patent litigation can take years and be a crippling expense, so defending your company’s intellectual property may no longer make financial sense. Second, CEOs should voice their concern to Congress, which is considering the second major revision of patent law in less than three years. The marketplace still is adjusting to the far-reaching changes of the America Invents Act, which was just implemented in 2012. A new round of legislation will create further confusion and unpredictability, at least in the short term. Third, it may be time to consider liquidating your patent portfolio. The current patent environment has already undermined the value of intellectual property, so in some circumstances it could be wise to sell these assets to a buyer that can put them to more productive use before their value declines further. Patent law is designed to ensure property rights for innovations and to encourage invention. The U.S. leads the world in innovation that fuels the economy. More than 100,000 software companies, most with fewer than 500 employees, are thriving here today because of our patent law system of rights and enforcement. It was clear in the industrial age when new machines merited a patent, but the law hasn’t kept up with the digital age and companies can suffer as a result, with their most valuable assets in patents suddenly being declared worthless. CEOs should put patent law reform on the top of their agendas. Katharine Wolanyk is CEO of Soverain Software which provides ecommerce software and services for enterprises, focusing on the publishing, news syndicate and digital content industries. Soverain’s enterprise software product Transact has been in continuous use for 18 years, used by over 1,000 companies in over 25 countries. Read: Information on the Soverain v. Newegg case: http://soverain.com/asp/news/.